Welcome Smokie! You are the 2,500th bird to enter the Phoenix Landing adoption program. Smokie was a very important member of his first family for 24 years. He spent most of every day with his favorite person, but recently lost her to illness. While we wish to keep our birds “forever,” that is rarely possible. Not only should most birds live a long time, longer than our children stay at home, but our own lives can change very quickly due to health, finances, relationships, time and interest. So now Smokie is an important member of the Phoenix Landing family. With 2,500 birds now in our system, we can give you a pretty good idea about why most birds need new homes. The most common reason: “not enough time and attention.” If you live with a bird, you know that they are highly social creatures and require a bit more care than most other pets (cleaning and feeding for starters). It is hard to sustain any relationship, but especially when an animal is physically and mentally dependent on us for much of their daily lives. The good news – birds are very resilient and adaptable. This means they can get through tough times with us. It also means they can learn to flourish in new places when needed. Now comes the hard part. While every bird deserves to have a succession of good homes, finding new homes is not easy. First we have to overcome concerns about a bird’s history and misconceptions about adoption. 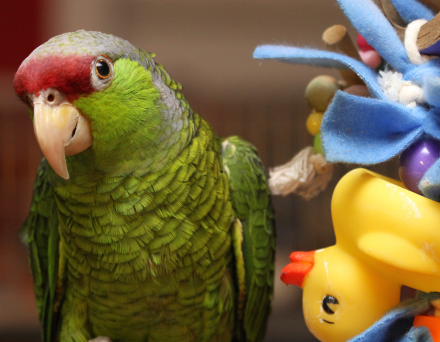 Phoenix Landing believes that every bird is adoptable, no matter their past; and even those few parrots that are truly “rescued” from negative situations can go on to lead healthy and happy lives. Second, living with a bird is just different. Many of you reading this understand that what makes parrots different is also what makes them magical, entertaining, compelling and wonderful. You also know that extra effort and time is involved, not to mention financial resources, space, family cooperation, trust-building skills and a dedication to learning. Parrots are not for everyone, and there are far more birds needing a place to live than there are places for them. The Phoenix Landing philosophy, first and foremost, is to look out for the bird’s best interests – not only when they first come to us, but over their entire lives. When a bird enters our system, they are initially in foster care. Sometimes this is with a foster family just helping on a short-term basis. However, most birds are placed with a family that is hoping to adopt. The foster period, about 2 months, gives everyone, especially the bird, a chance to know each other and see if it is a good match. If it is, and the bird is adopted, our adoption contract stipulates that the bird remains under the legal protection of Phoenix Landing, and WHEN (not IF in most cases) they need their next good home, Phoenix Landing will be responsible for this placement. If you live with and love a bird, then you can understand why we are so adamant about looking after a bird for its entire life, not just its next placement. EACH home should be a good one. So, taking in 2,500 birds since our adoption program began in 2003 does not mean that we have found 2,500 homes. Oh no, it’s far more than that – closer to 3,500. In addition to some temporary foster homes, about 15% of our birds have already needed more than one adoptive home. Finding new families, screening applicants, teaching classes, moving birds, going to the vet, following up after adoption — that’s a lot of work by our incredibly dedicated volunteers who work so hard, in addition to their own jobs and families. These remarkable individuals can never be thanked enough for all they do, but a well-placed parrot in a new home is one of the best rewards possible! Maybe you would like to be part of the solution and offer a bird a new place to land? We always have 150 or more birds waiting for our help, or some of the 2,500 that have already been adopted often need their next good home. If you have the time, resources and the willingness to learn, we’d love to hear from you. 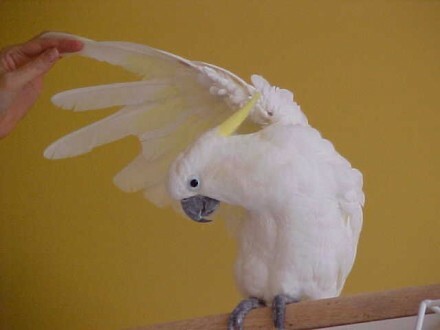 Or if you already have a bird and just want to learn more about living with and caring for parrots, we offer many informative classes. If your bird is going to be with you for a long time, learning new things and sharing ideas will keep life interesting for both of you! For more information about our adoption and education program, go to phoenixlanding.org. 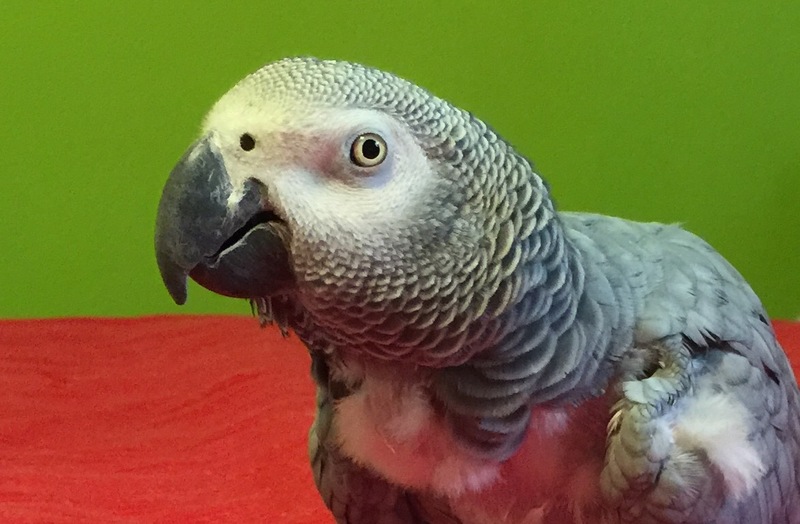 This entry was posted in Adoptable Birds, Parrot Education, Phoenix Landing News. Bookmark the permalink.